Speed Cleaning – Join Me! Somehow three weeks have flown by. In between traveling, severe personal sickness, and then followed by sick children, the house has deteriorated. In other words, it’s in shambles, and as I look around, I’m praying fervently for my personal cleaning fairy. I know “shambles” is relative, and my shambles may not be yours, but the point is, after a few days of waiting, my fairy has yet to show up. That means, I need to get my wings polished off, and get flying. The problem? I don’t want to start…at all. It’s a bit overwhelming and I know that a few hours will not claim perfection. Now for those of you who are “everything has it’s place, don’t go to sleep till it’s spotless” kind of friends, this next bit of advice is going to kill you. Just close your eyes or stop reading. This is for those of us who just need to do the NEXT THING. I am giving you permission to NOT wait for perfection, to stop making excuses because the task seems too large, and to take a few baby steps with me. 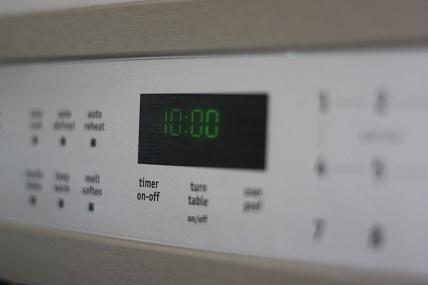 Go set the timer, and pick a time that is manageable. How much time can you give a task today? Choose the amount of time that you can actually work from start to finish without stopping. If that is only ten minutes, then go for it. Remember, there’s never a perfect time. I set the timer for ten minutes, even though I have a minimum of five hours of work. I want to see how much I can accomplish in that amount of time, and then will start again. No need to choose one hour if at the end, I will only be discouraged because one million interruptions occurred. Put on the music, turn it up loud, and let’s get to it. I walked through all the rooms downstairs and put anything out of place, on the floor, stuck in corner etc, into the Rubbermaid. (Yes, there’s still so much more to do, but it feels SO good to have clear spots.) Do NOT take the time to start organizing, putting things away, or get side tracked. We all know that everything should have a space, but if we start doing that now, we won’t feel the immediate sense of great accomplishment that this one task provides. I’ll check in on my Facebook page and let you know my next ten minute task and all that I am accomplishing today. Can’t wait for you to join me! What task have you been putting off that you just need to start..now? This is so nice to hear that I’m not the only one paralyzed. I’ve been doing the same thing. Just doing a little bit consistently and I’m amazed at how it’s working. I’ve worked on my baby’s room and my craft room today. I didn’t finish it all, but I discovered just putting some things away and not getting caught up in the perfectionism makes a huge difference. Yay! Go us! You’ve never spoken to me quite so personally before! Yes. I am setting the timer, because right now I’m doing anything but cleaning because the task is just so big! Thanks for the encouragement. I am organizing the kitchen today. I am probably 3/4 done and it feels great! Even got hubby to pull out the stove so I can clean under it. Bagging up lots of things for donation! As I said on FB, I SO need to do this today!!! I have business inventory to take, and receipts and invoices to total so that I am ready to file my taxes this week. A HUGE task for sure. But while the house is so clutter-y, I cannot. even. think. So thank you for your brilliant suggestion. I have run my errands, now have a load of clothes to fold, then I will do my pick-up run through the downstairs!! Whoo hoo!! Can’t wait!! Blessings! Just reading about cleaning is making me tired! Are you sure we can’t just wait for those cleaning fairies? So did your cleaning fairy ever show up? I don’t think so, but the hope never dies. I had it all together this year, after weeks of hard work I cleared out lots of clutter from my kitchen. Then we all started getting sick too, and two weeks later, everything’s a wreck. To be honest, I don’t think I feel even good enough for ten minutes today, but I’m going to try your trick just in one room after the kids get to bed. Maybe if I can get one room a wee bit tidy with ten minutes of pickup, I’ll start to feel better. Thanks for making this seem so possible. I was terribly sick last week and hubby has been sick most of this week. My poor girls’ room has been effected the worst. It had become a nightly occurance tripping over or stepping on toys in the dark. It seemed as soon as I got a handle on something my two littles had dumbed something else out. I even still have Christmas boxes waiting to make it back into the attic. But today I was victorious. The girls’ room is cleaned and rearranged, the Christmas boxes are labeled, one of the cars has been vacuumed and the interior has been wiped down, and my bedding has been changed and the bed lysoled (I am going to kill those icky germs if it;s the last thing I do)!! So glad I wasn’t the only one inspired by the beautiful weather! I didn’t get a chance to leave you a message earlier because I had to clean, take a shower and head to work. I did my 10 min speed clean, but it turned in to a bit longer. I decided to vacuum the basement and stairs. Then I realized there were a couple stains that needed tending too, which was ok. I groaned when I saw your tweet, but knew I had a lot of cleaning to do so no better time than the present. HAHA – didn’t mean to make you groan, but so glad you joined in. I have ADHD and this is the only way I can get any cleaning done. Thanks for sharing! 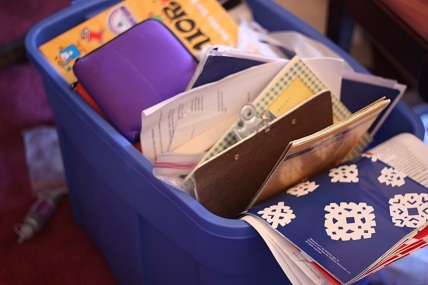 We are prepping for a move–so I am tackling one drawer at a time making piles for donations. 10 minutes at a time works for me. I’m just going to fold laundry for five minutes. I’m just going to go through five pieces of mail on this pile. I’m just going to straighten for five minutes. I’m just going to put five things away from the counter top. What I find is that I have lots of five minute opportunities in the day. I can get a TON done in five minutes. I usually can continue for a few extra minutes or do a few extra things. Little bits of time add up to the chore being accomplished sooner than I expected. I’ve also found that when my house is out of control, it’s time to engage the whole family. I tell them, we are going to do this for ONE HOUR and then we are all free. I give each of them a list of things to do, from the least to the greatest of them (including my husband!). I turn up the music super loud and I give them each ten bucks when it’s over. Except my husband. He works for free. It is AMAZING what the whole family can accomplish in just one hour. And there are no interruptions, because everyone is racing against the clock. Hope you get unburied soon!